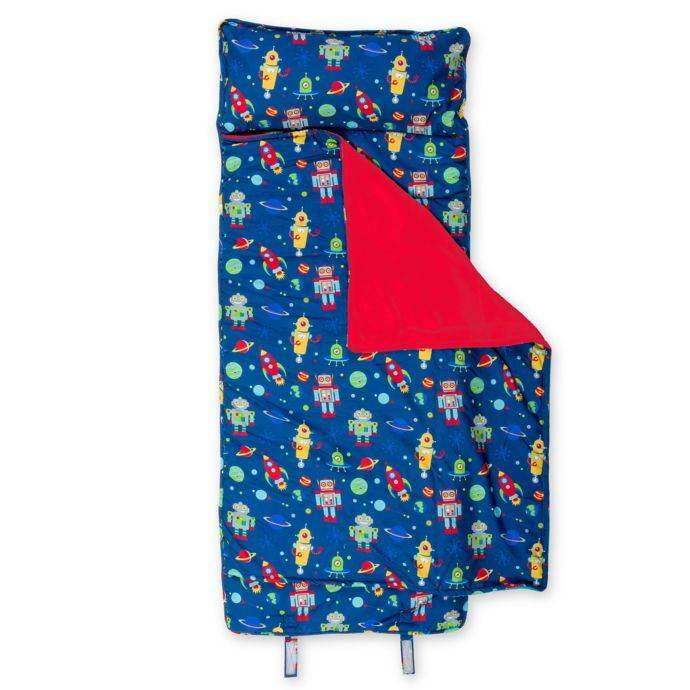 All Over Print Nap Mat Robot - Grow Children's Boutique Ltd.
Nap time never looked so good than with a Stephen Joseph All Over Print Nap Mat. This all-in-one nap mat will have your child snuggling down to sleep before you’ve finished reading their favorite bedtime story. It’s so soft and fuzzy you’ll want to get in too, and the printed patterns can really set off your little one’s imagination for dreamland. It’s also great for camping and sleepovers as it rolls up with an easy-to-carry shoulder strap and has a useful front pocket. Right sized for daycare and school use. The fun design will bring smiles and the oversized attached blanket ensures your little one stays nice and cozy all through nap time. The velcro straps keep is secure when rolled and the shoulder strap makes it easy to carry. The nap mat is made from 100% polyester and the inside of the blanket is super soft velboa. 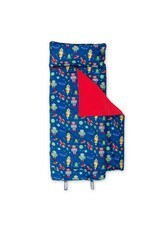 Your little one will love how soft this and comfy this nap mat is. Mom will love being able to machine wash (on gentle - lay flat to dry - remove pillow). Not only is this nap mat functional and comfy, it looks great too. You little one will love the all over print pattern. With so many different designs to select from. The front pocket is a great place to easily store items for nap time.